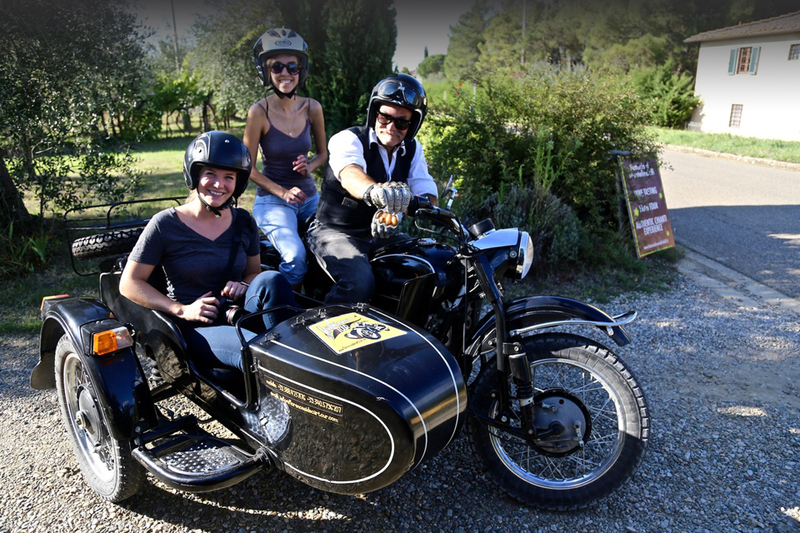 First and only vintage sidecar riding experience organizer in Italy! 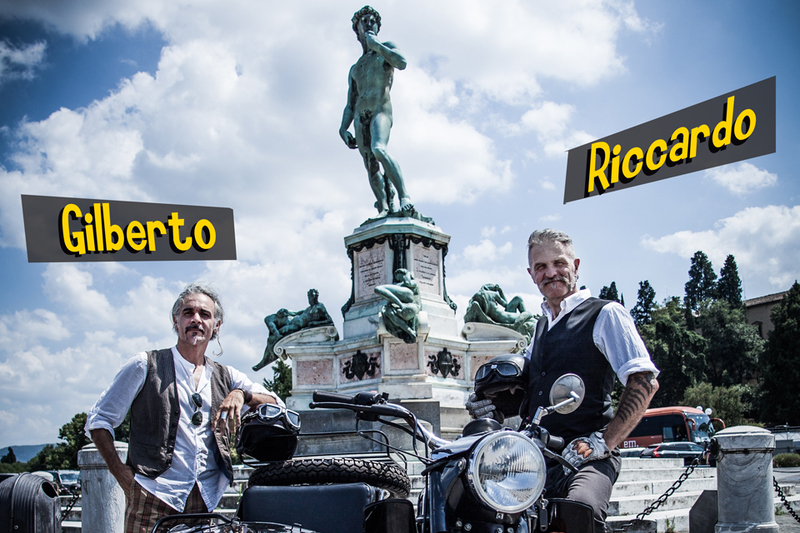 Two bikers who will drive you around Florence and Tuscany. 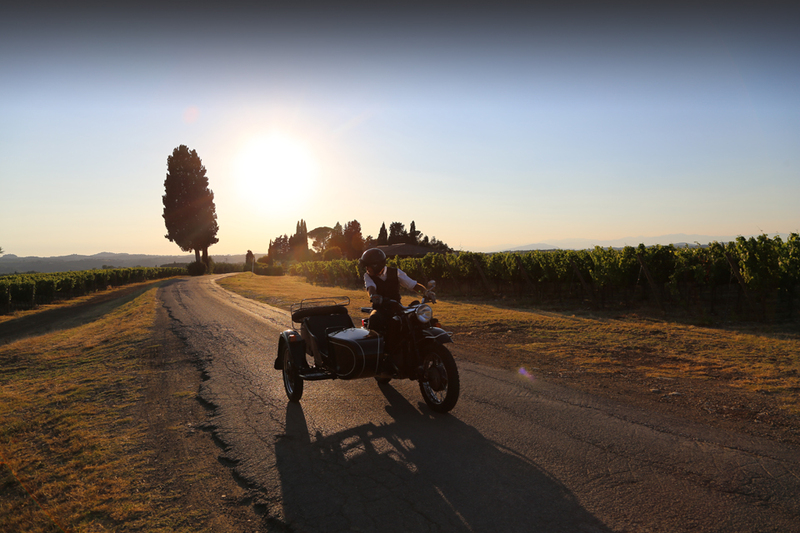 Motocarrozzetta Vintage Sidecar Riding Experience is a dream that came true: we’ve always thought that this amazing three wheels bike is the best way to discover the real spirit of Tuscany, which means tradition, beauty, fun, culture and… good wine & food! An hour and half ride trough the highlights of Florence, starting with a breakfast in one of our selected, Motocarrozzetta – styled bar. 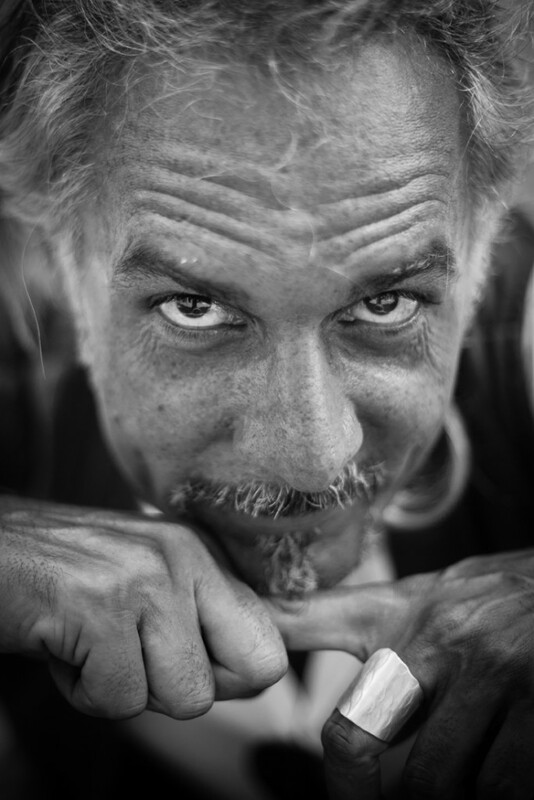 Take your camera (or ask us for a go-pro!) 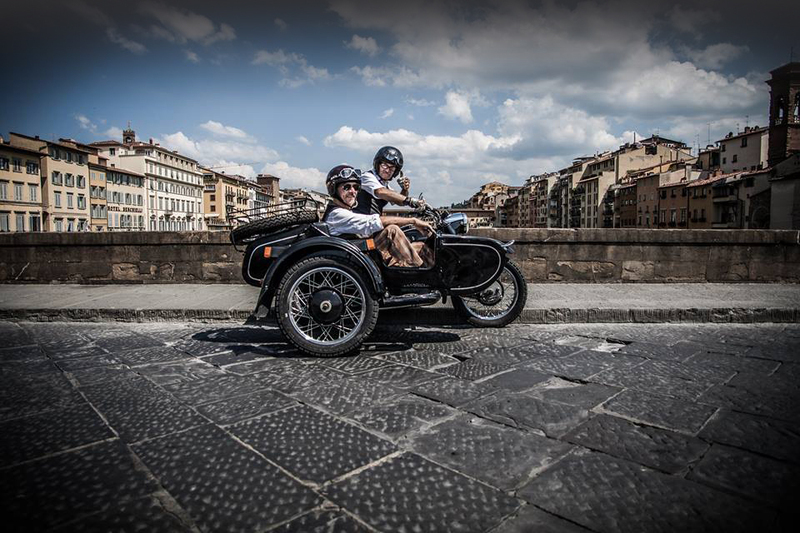 and just sit on our sidecar, we’ll bring you around the city for a really impressive ride: along the river Arno, up to the Piazzale (Michelangelo square , down inside the historical city center and up again on Fiesole hill and city to have the best panoramic views of Florence. Another “side”experience of Florence, but from a different point of view: its finger food and his majesty, the Lampredotto. When you are in Florence, you can’t miss the king of traditional florentine finger food! What’s it? Taste before, then we’ll explain you. Of course, not for veggies, but we have a good option too. 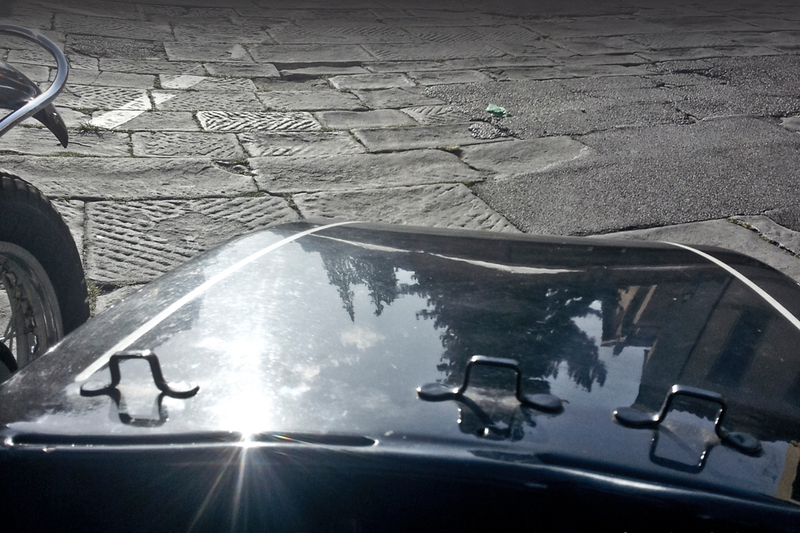 A Lampredotto Sandwich will be the excuse to talk about Florentine food and traditions while riding around the city. Old fashioned and busy “vinaini” organic “gelaterie”, kiosks with water mellon and “popone”. According to the season you’ll have the chance to discover Florence and its people trough the stories of its food. This ride experience can be done in late morning or late afternoon, just let us know which part of the day you prefer! This option is for wine lovers. 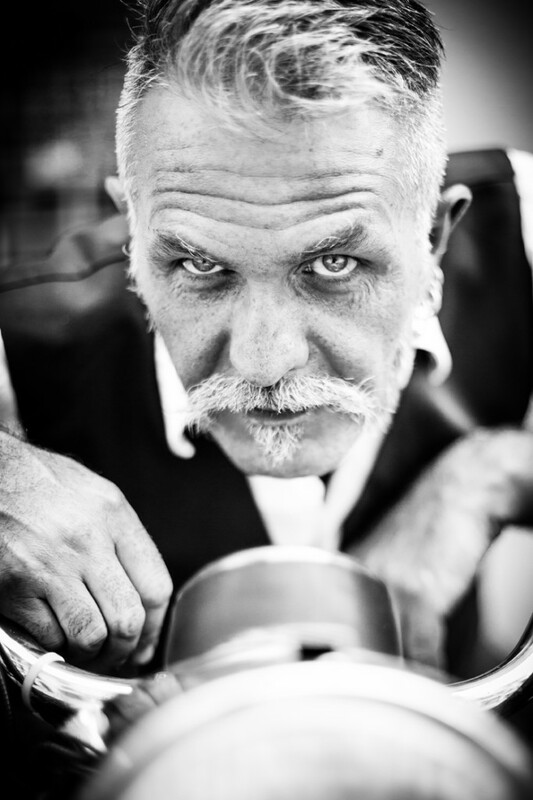 With 45 minutes ride we’ll get to the Chianti area and meet one of our favourite winemaker. 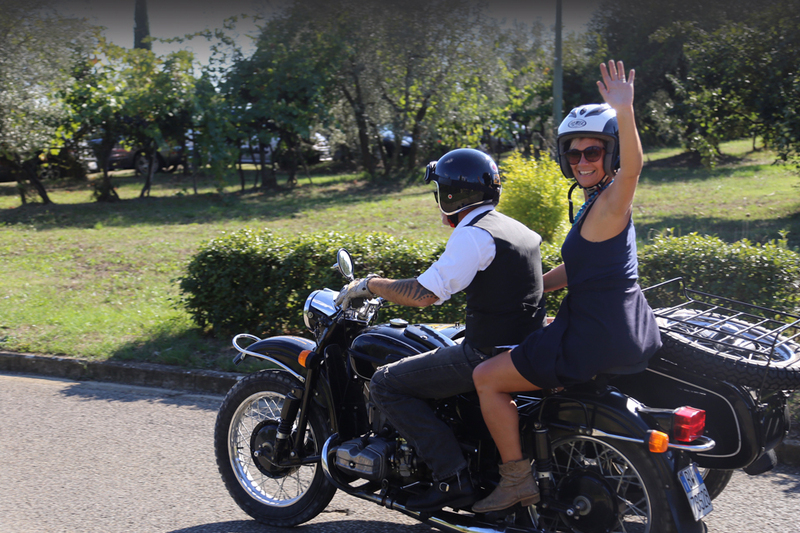 We’ll visit the winery, the vineyards, the cellar and then we’ll have a tasting and/or Tuscan lunch. 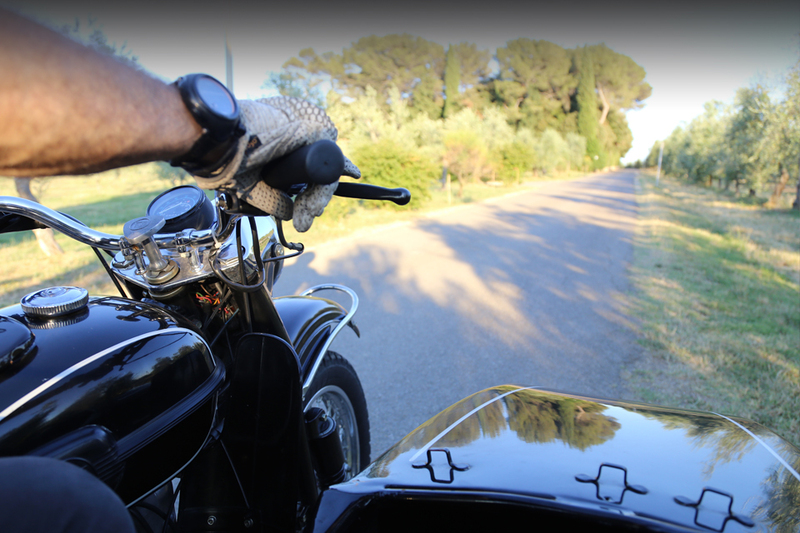 Especially in really hot summer days we prefer to drive in late afternoon hours. The “Golden Hour” for photographers, the most romantic part of the day for everyone! According to the season we’ll decide with you the departure time, by the way always between 6 and 7 pm. Here some of the highlighs you’ll see and stop: Piazzale Michelangelo, the Lungarni (the streets along the river Arno, cutting the city center in two parts), Fiesole hills, Oltrarno district. But we can change our itinerary according to your request (99% of the times…). Bring your camera with you (or ask us for a go-pro) and don’t forget sunglasses. Florence and us will make the rest. meeting point, time, place, duration, equipment, gift, all details to smile! 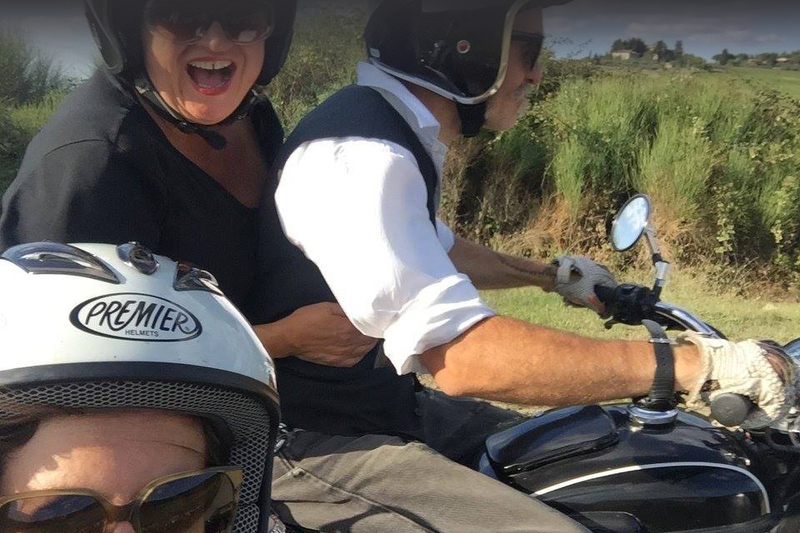 Helmets are compulsory in Italy. 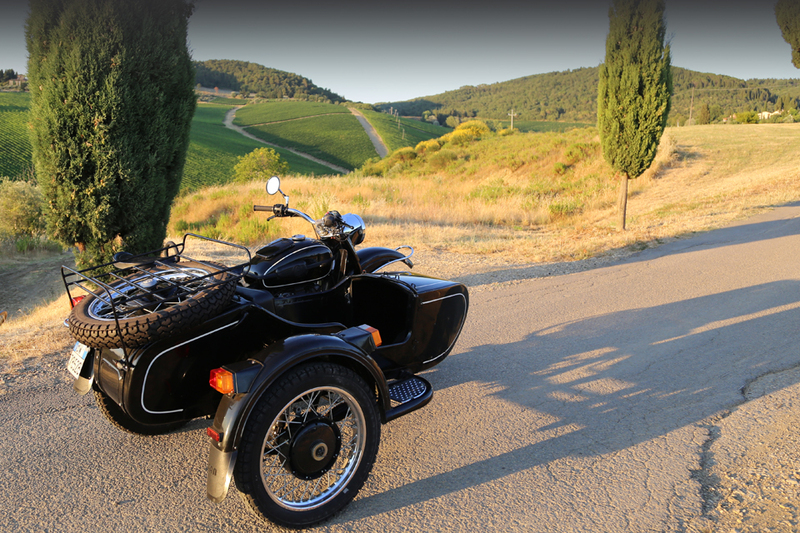 Every sidecar can seat two persons, one behind the driver and one in the sidecar seat. Who's gonna drive you around? have a nice day with us! 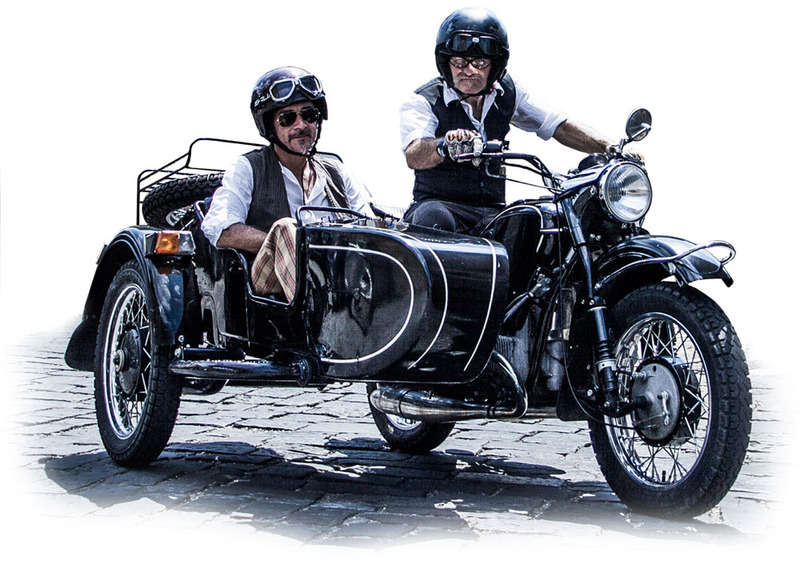 The vintage Sidecar is really different than a vintage or modern motorcycle, so we request a specific experience of driving for your safety. Security deposit € 1500 credit card. (any recovery costs are separate). This particular service is dedicated to wedding, event, fashion photo shooting, etc. Our best offer is calculated in relation to the distance of the place of the event, to the service duration and the necessity of a driver.